Beverly Hills, CA – Even the most careful orthodontic patients are at risk of damage to their appliances, either from something they eat or an accident. Some situations may require emergency treatment, while others can be taken care of via a telephone consultation with your orthodontist. If you get into an accident where your braces get bent, don’t ignore the problem, and while you may be tempted to try to fix the issue yourself, don’t do it. By doing it yourself, you risk moving your teeth in the wrong direction. On the other hand, if you ignore the problem, you could have to wear your braces for a longer period of time. Below are some guidelines to follow if your braces have been damaged. Loose Brace: If you chew something that is too hard or excessively sticky, the adhesive resin that attaches the braces to the teeth can weaken, causing the bracket to break and potentially poke into your gums, tongue or cheek. Your orthodontist should give you a special wax that you can apply over the bracket to keep it from poking you until you can see your orthodontist. Loose Band or Bracket: In this case, contact your orthodontist’s office immediately. While a tight band protects a tooth from decay, a loose band can trap food particles quickly, resulting in decay. If you are away from home when a band or bracket becomes loose, you may visit an orthodontist or dentist in the area to remove it. Be sure to keep all parts and bring them in when you schedule your appointment. Broken Arch Wire: The main archwire is the wire that connects your braces and extends across your teeth. If one breaks, call for an emergency appointment. Missing Metal or Elastic Tie: This is typically not an emergency, but please call your orthodontist for guidance. Repeated damage to braces can hinder progress and add months to your treatment plan, so take good care of them! The most important thing to do when something unexpected happens with your braces is to call your orthodontist and schedule an appointment. 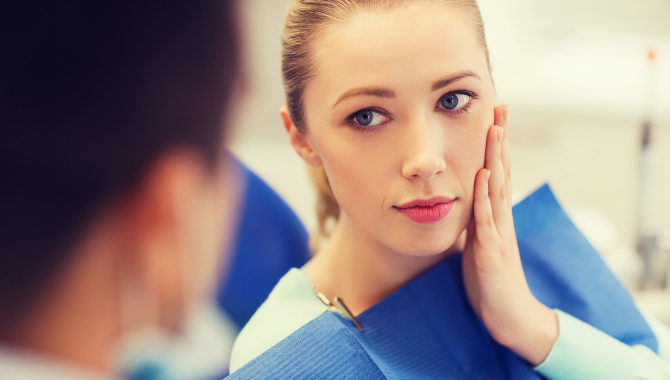 Depending on the severity of the damage to your braces, the appointment time will vary. Sometimes broken brackets or wires take a bit of time to repair, but it needs to be done as quickly as possible. Prevention of issues is the best tip that we can offer when it comes to dealing with damaged braces. Taking proper care of your orthodontic appliances can help you avoid mishaps, extra appointments, and the inevitable discomfort. Dr. Nikaeen and her team are skilled and knowledgeable dental professionals, helping those in the Beverly Hills, Santa Monica and Los Angeles area attain their very best smiles. Dr. Nikaeen is one of Southern California’s top orthodontists, offering experienced and compassionate care to all of her orthodontic patients. If you’re interested in achieving your perfect smile, schedule a free consultation with Dr. Atoosa Nikaeen today. You can call her office at 310-444-1113, visit, or email at your convenience.